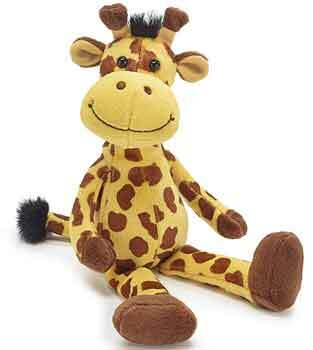 Plush "Lil' Geri Giraffe" is as cute as can be and is great to add to your gift basket. 11" overall length. Rattle inside for baby.